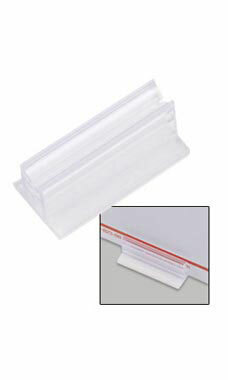 Make sure your customers can see your sale pricing or promotions with our Adhesive Grip Sign Holder. The sign holder holds a sign flush against any surface vertically or horizontally. Use several for larger signage. 1"L removable adhesive back holds up to 0.70” thick sign.